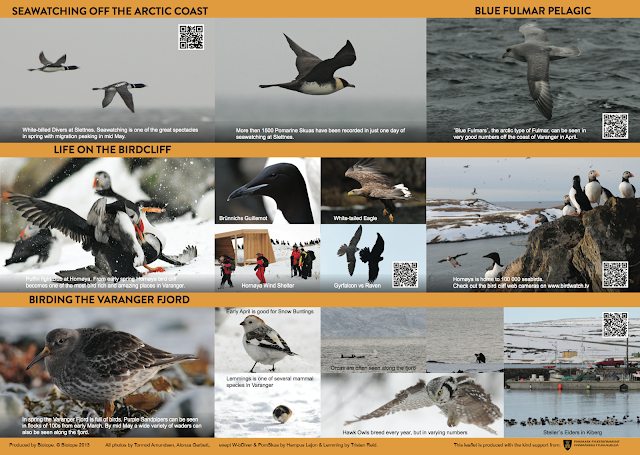 Since 2009 we have had the privilege of experiencing Varanger through the seasons. We have now made 3 info-flyers giving you the basic information on birding Varanger in Februar & March, or April & May, or June, July & August. 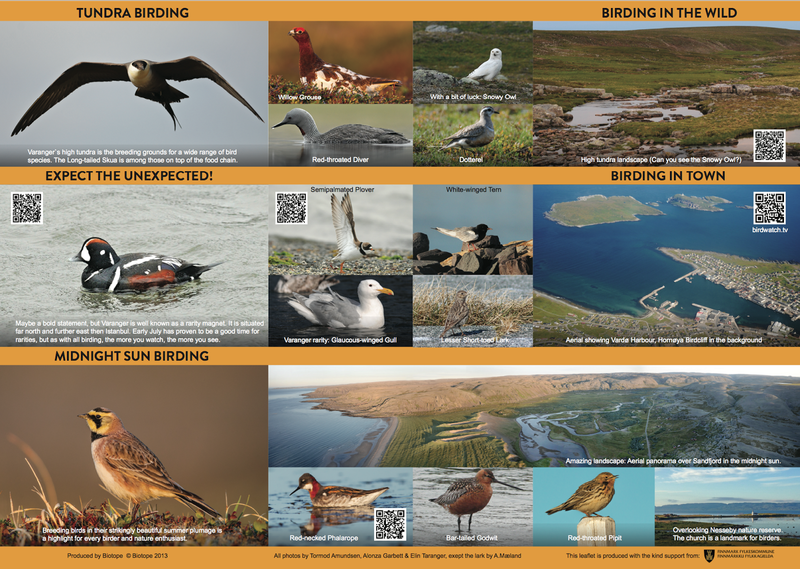 Both landscape and birding changes dramatically every month, from February with its blue light and dark nights to the midnight sun season starting in May. 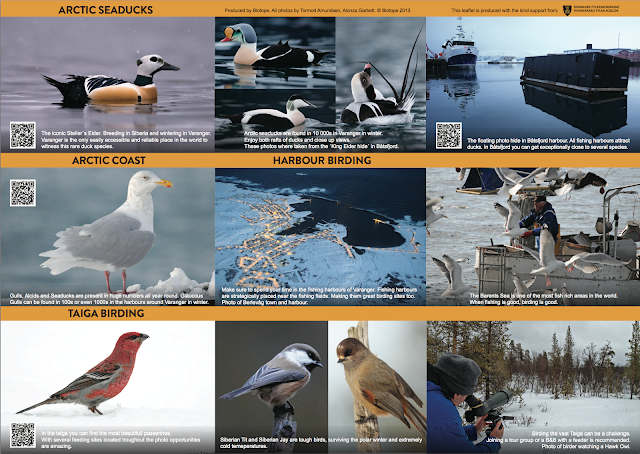 King Eiders can be seen in rafts of thousands in winter, but in summer they can be hard to find. In these leaflets you will find key info and the QR-codes act as digital short cuts to more information on birding experiences in Varanger. 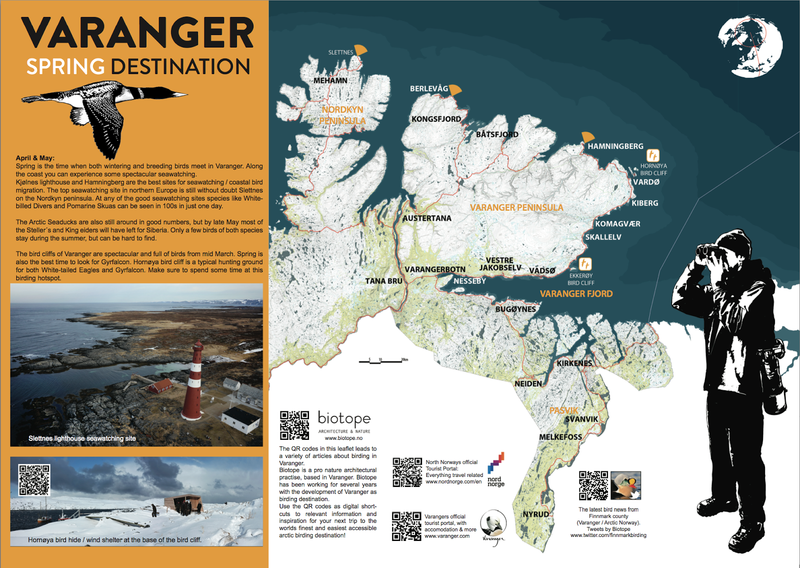 The leaflets are printed and can be found in the tourist informations, hotels and guesthouses in Varanger. Click on the images in this article for slide show view (with larger images). For the past few years Varanger have seen a rapid development as a birder friendly destination. Good progress have been made, including the architecture, the maps and info to the local knowledge of birds and sites. Things are starting to come together. In Varanger the architecture in itself is not the attraction, but being in the Arctic it certainly helps adding some comfort. We design the bird hides and wind shelters to be functional sites from where you can comfortably enjoy the scenary and birdlife. Above is the Steilnes bird hide in Vardø. This is one of the top sites to experience the amazing King Eider rafts in early spring, or to simply enjoy a nice fireplace anytime of the year. 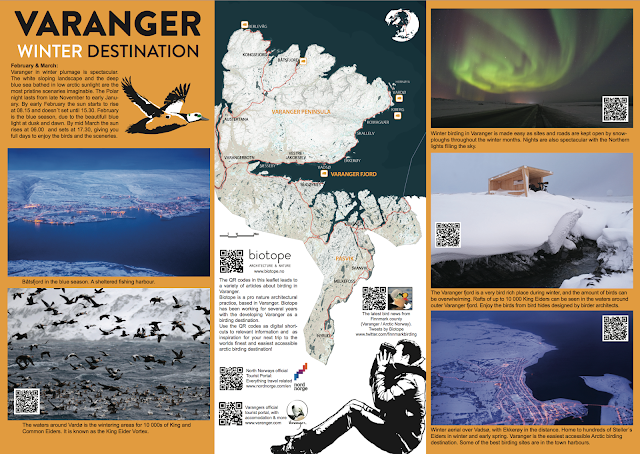 We have been very fortunate to work with a lot of great people in Varanger. 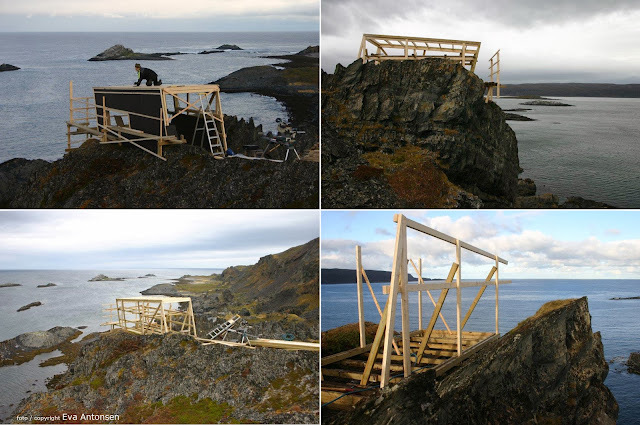 In Kongsfjord, northern Varanger Peninsula, Åse Winsents have spearheaded the realisation of a new bird hide / wind shelter. This hide is still in the making, designed by the Biotope office and built by carpenters Gunnar Isaksen and Eva Antonsen from Båtsfjord. 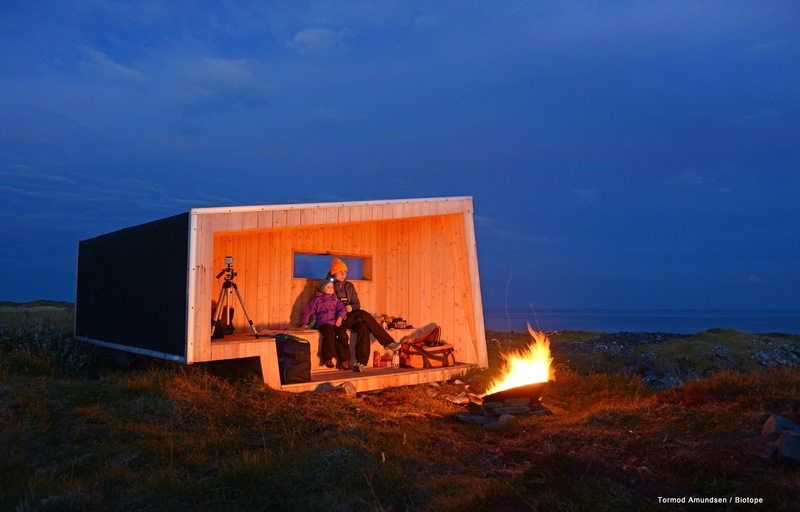 This little piece of shelter is sat on top of a cliff, with an amazing arctic ocean view. We can`t wait to try this shelter this coming winter. 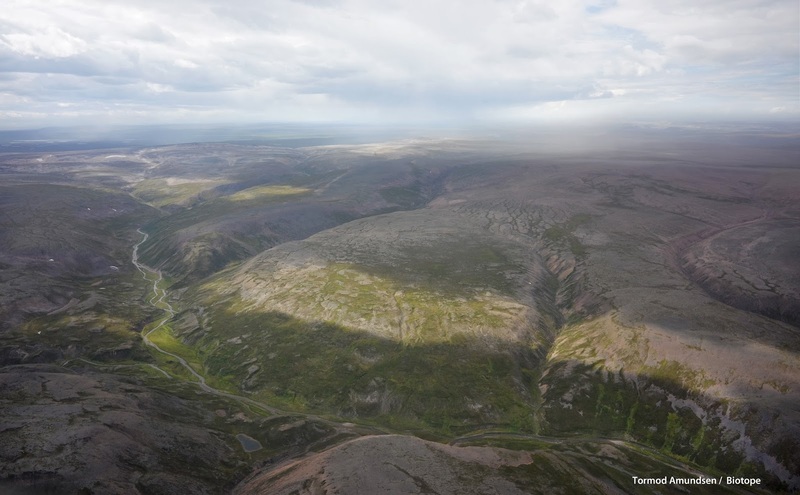 This is probably one of the most weather-beaten places in Varanger. 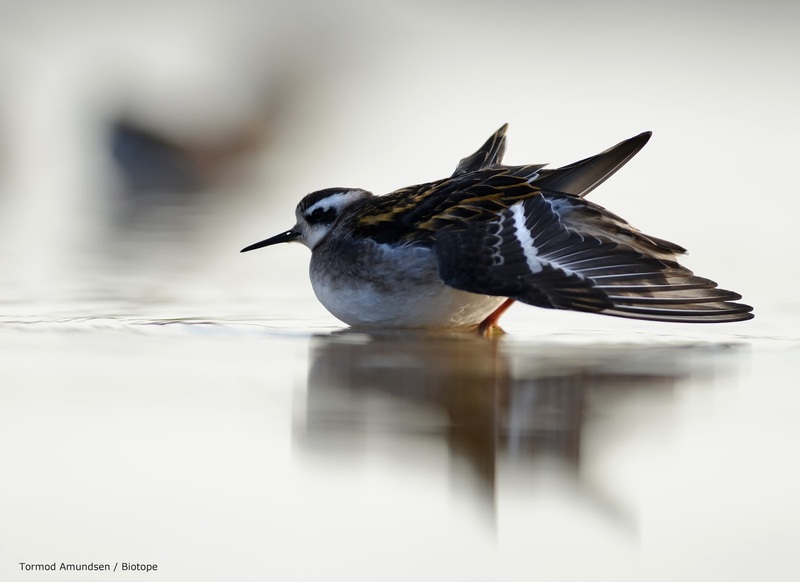 Above is a young Red-necked Phalarope stretching, photographed from the ´stealth type´ mobile bird photo hide. 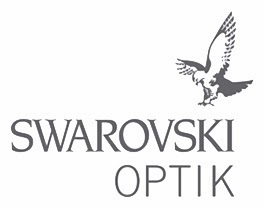 We havent found enough time to bird this summer, as we have been busy with making more pro bird niceness happen. 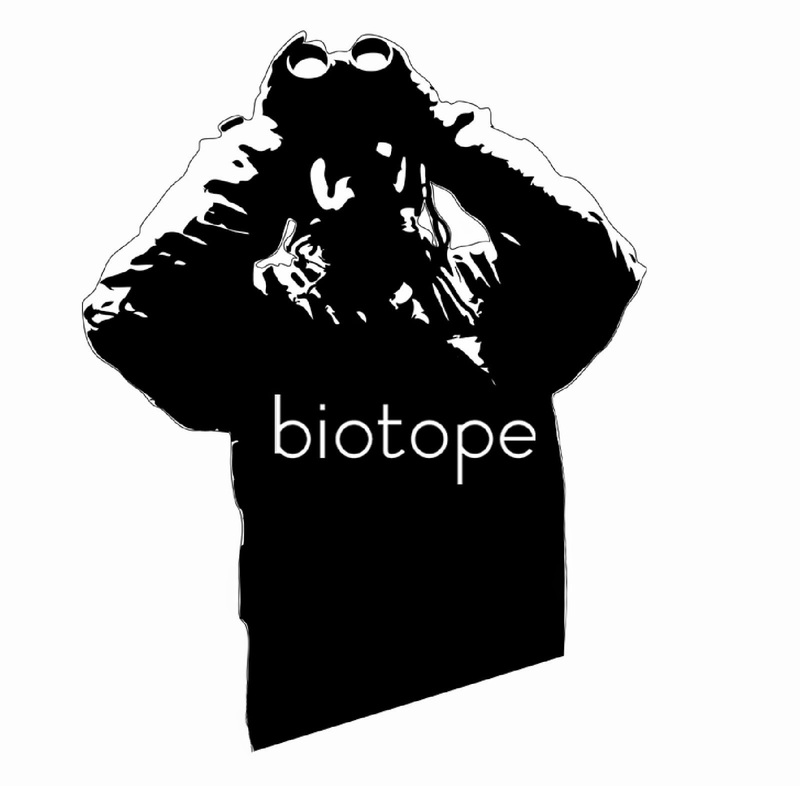 Testing a new bird photo hide prototype has been a highlight. We will improve and expand some of the bird photo hide concepts, aiming to few new hides ready for 2014. Most birders do the fjord, but the Varanger high tundra is truly amazing too, with green valleys surrounded by arctic stone deserts. This scene was shot flying from Båtsfjord to Vadsø in July. 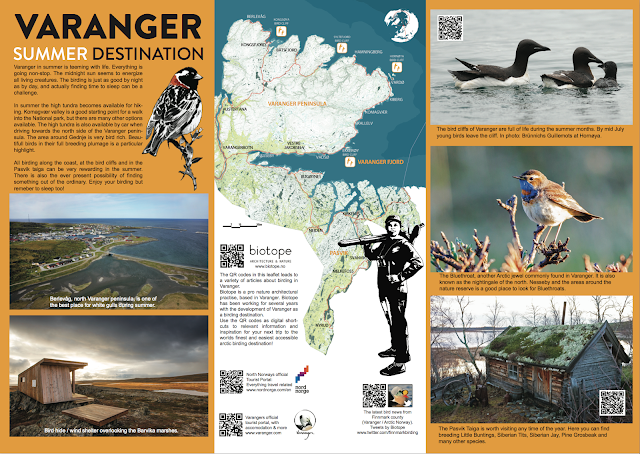 Stay tuned for more info on Varanger birding architecture, as four new bird hides are in building progress this autumn! The building of an amazing nature destination continues..